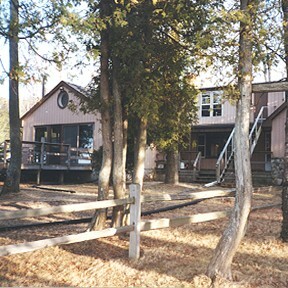 We offer 200 feet of breathtaking shoreline water frontage located on a wooded lot in the heart of Door County. The lodge can accomodate up to 20 guests. Great for family reunions, corporate retreats, fishing clubs, snowmobilers. We also have 2 cottages available. Each unit has 2 bedrooms and kitchen facility and can accomodate up to 6 comfortably. For additional information you can call 920-494-2334 or 920-621-7439.